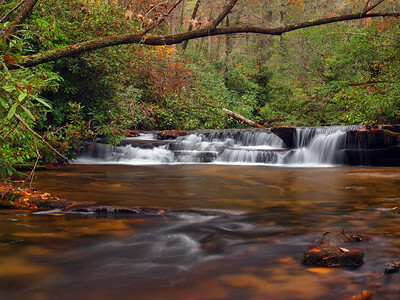 I have to admit, our journey through the north Georgia mountains really opened my eyes to how beautiful that whole area is and one of the more impressive areas we saw was the gravel road that follows around Seed Lake. 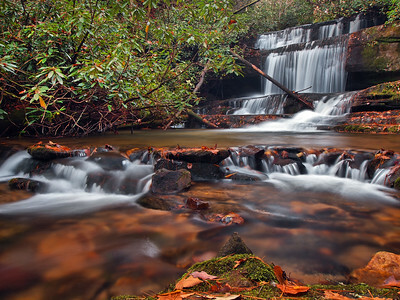 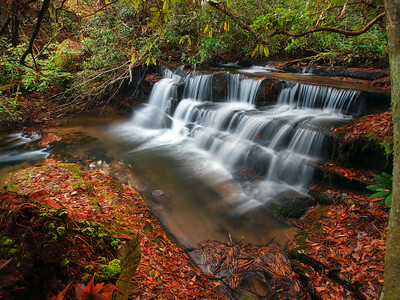 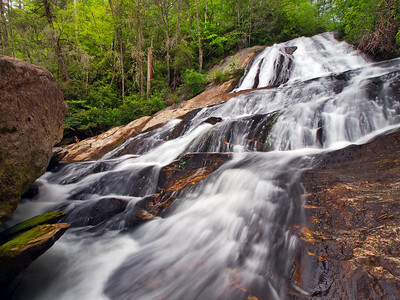 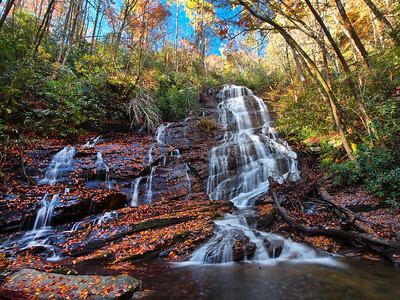 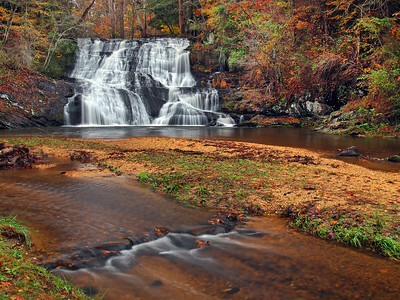 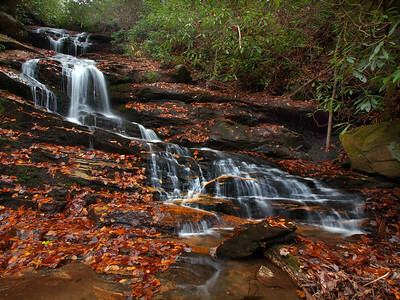 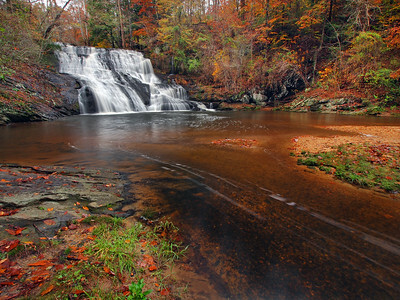 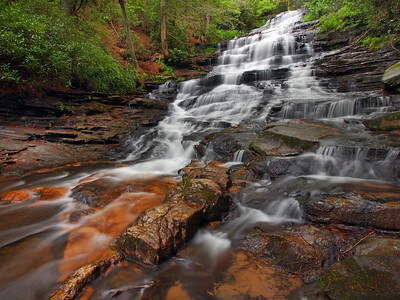 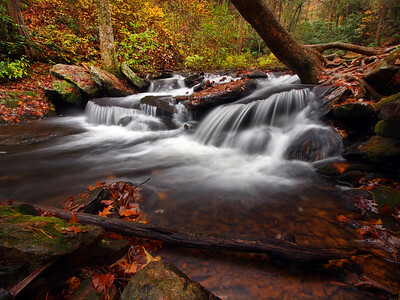 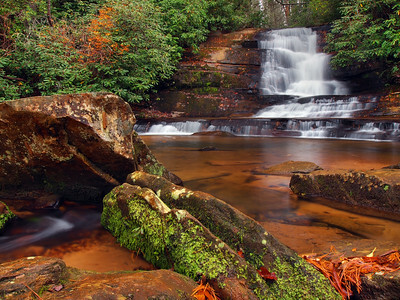 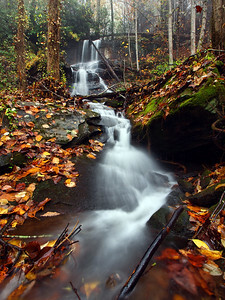 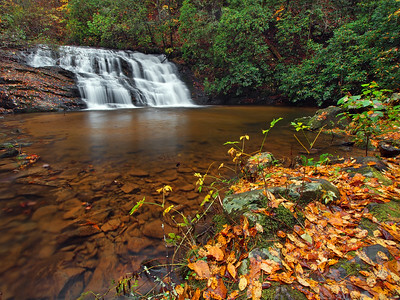 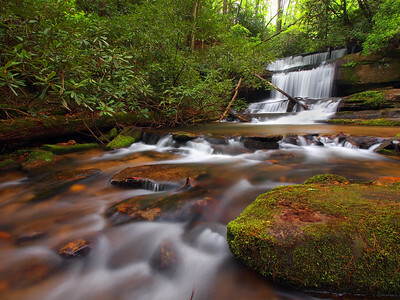 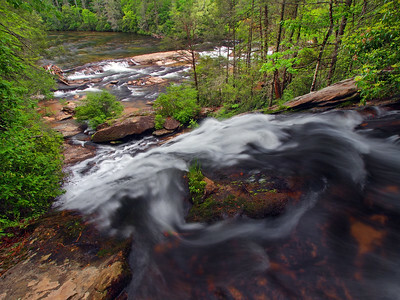 This 10 mile road drives above and along the banks of this gorgeous lake that’s spotted with beautiful vacation homes, but the real treat are a couple waterfalls located a short walk from the road into the Chattahoochee National Forest. 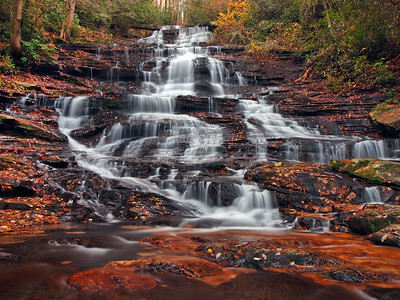 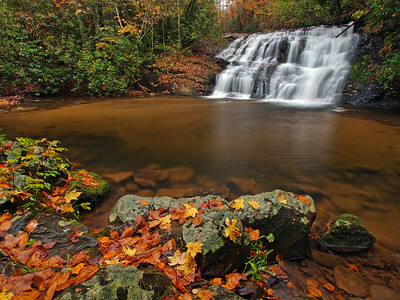 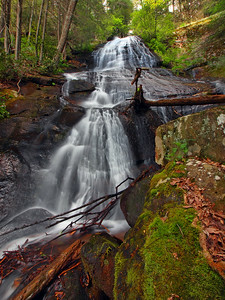 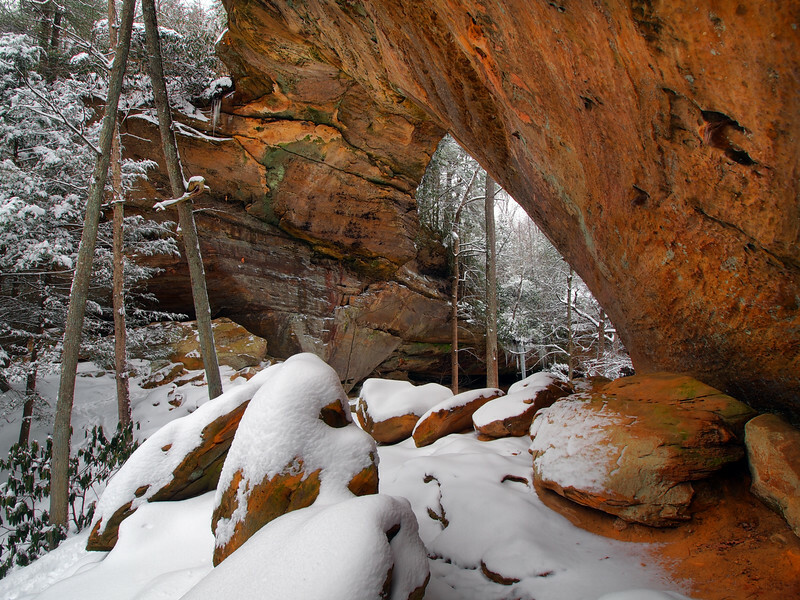 One of these falls is Crow Creek Falls. 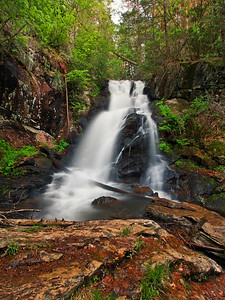 After passing the 5 ft tall Lower Crow Creek Falls (which will definitely be featured later) we came to this 20 ft tall beauty. 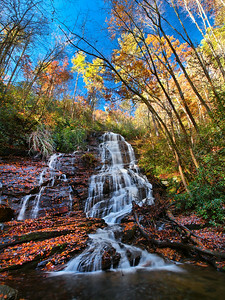 In retrospect, I wasn’t really all that impressed with the view from the side of this waterfall, but from downstream I thought the scene was killer!